If you’re a person with an allergy to following complicated recipes like me, here’s a super quick vegan recipe that has 3 ingredients and takes no more than 5 minutes to make. For a domestically challenged person like me, the recipe also has to be bulletproof since I have managed to even overcook water! True story. You know what happens when you boil water for so long there’s no more water in the pot but the flame is still on? I do. I discovered that our smoke detectors were alive and well that day. The cooking pot on the other hand, not so much. 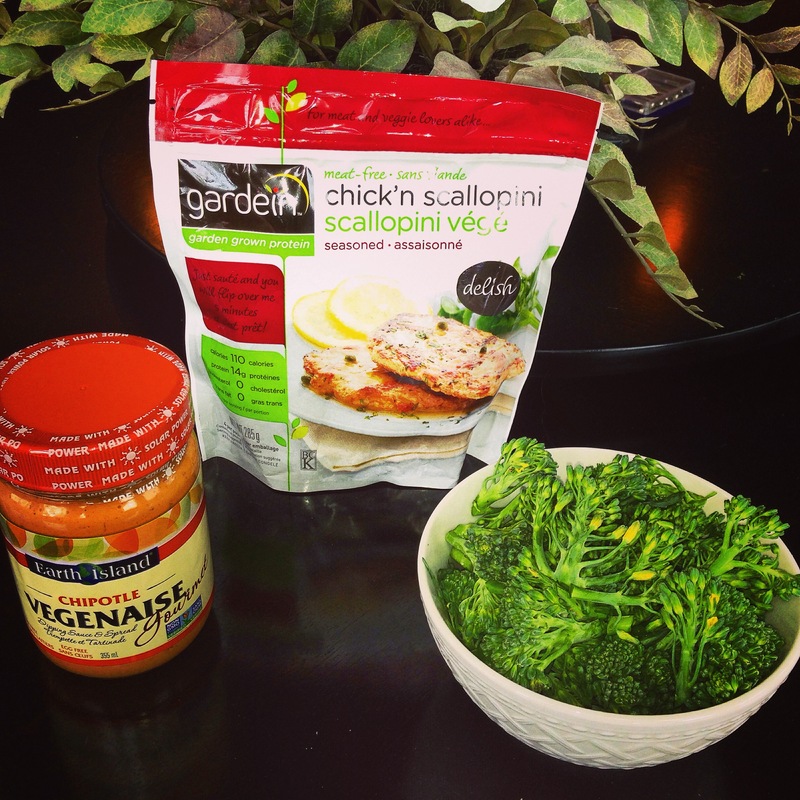 Grill the Gardein Chick’n Scallopini. Steam the veggies. Accidentally spill the glass of wine you’re drinking. Mix in a tbsp of Chipotle Vegenaise with the veggies. Knock over the plate you left on the corner of the kitchen counter and watch it break into a million little pieces. Get the broom out and sweep. And your awesome, delicious vegan meal is ready! If you try it this weekend, please let me know how it turned out. If you have some other ideas for a 3 ingredient recipe, I’m all ears… errrr… eyes! Please share in the comments! Image | This entry was posted in Recipes, Weightloss, health & fitness and tagged healthy, plant based, recipe, vegan, vegan diet, veganism. Bookmark the permalink. Thanks Nancy! And kudos on your fundraising efforts too!